These mirrors are convenient when you`re getting away from it all. 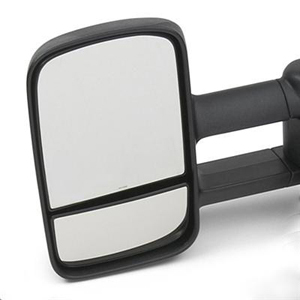 They feature a wide field of vision, and they manually extend further outward than the regular production mirrors on your Silverado to help make it easier to maneuver your camper or trailer. Not For Use on Vehicles with Comfort and Convenience Package (YE9).